Are you a female or a first time buyer that feels uncomfortable going into a car dealership to look at a vehicle? If so, here are 5 tips to help guide you into feeling more comfortable the next time you need to purchase a vehicle. 1. Research the models and prices online and know what is a competitive offer. 2. Check Car Fax or Autocheck to research a vehicle’s history. 3. Ask the dealer for the customer contact information that traded in the vehicle if you are looking for pre-owned. 4. Ask for service history and service work that was performed on the vehicle at the dealership. 5. Check guidebooks such as Kelley Blue Book or NADA for a fair purchase price on your trade in. If you are considering Monken Automotive as a potential car dealer, we would like to inform you on a few ways we believe you will be more comfortable, including 14 female employees that are available to help you. 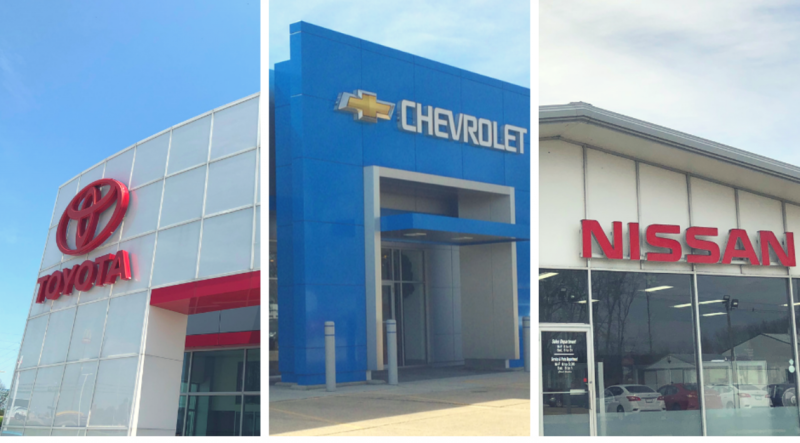 Walking into a showroom can be intimidating, therefore, we have 4 female employees in our Chrysler Nissan sales area. They are our Receptionist Desk, Office Manager, Internet Sales and General Manager. In our Chevrolet Buick GMC store, we have 5 female employees. They are our Reception Desk, Title Clerk, Office Manager, Accounting and our Owner. They are all available and willing to lead you in the right direction. Driving into a service department can be just as intimidating. We have 5 female employees that work in our service departments and will help you with any questions about servicing your vehicle. At our Chrysler Nissan store Amy Monken-Brandt started as a service advisor 19 years ago and is now our Service Manager. Dorothy Cates has been in our service department for 5 years and Mel Jackson for 4 years. At our Chevrolet store, Amy Zalos is our Service Manager and has been with us for a year and we just hired Heather Hoffman. Being able to talk to a female service advisor should encourage you to ask any questions without feeling lost or embarrassed. “We are not tech savvy, but we want to make sure your needs are met. We can ask the technicians their concern and put it into terminology that you will understand,” adds Service Manager, Amy Monken-Brandt. Our waiting areas were created to make you feel as comfortable as possible. We have television, an Apple computer with internet access, vending machines, free popcorn and updated seating… all to make you feel at home. Here is a review from one of our female customers.